Thanksgiving is on it’s way. This is a great time of year for children to write about the things for which they are thankful. This Thanksgiving handwriting paper free printable is a good place for children to record their thoughts. So read a Thanksgiving book together for a little inspiration and let your child do a little writing. 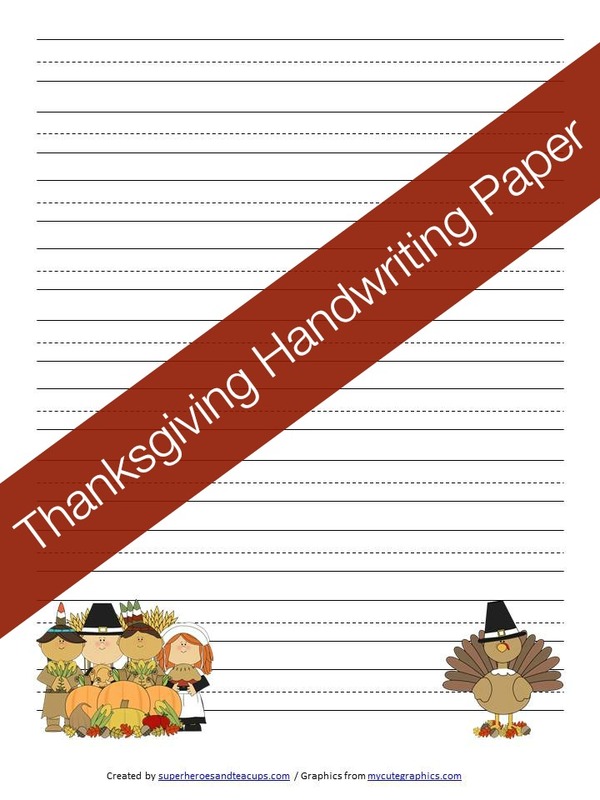 Children can use this Thanksgiving Handwriting Paper in lots of other different ways. They can practice their letters, spelling words, vocabulary words, write stories, or anything else they like to write. Love the pilgrims and turkey! This will be great for November handwriting practice. That little turkey is so cute. I am sharing this and also pinning it so I can use it each year. Such cute paper – it’s always good to have paper around for those creative moments!